“Does he always breathe this fast?” asked the GP, on a home visit. 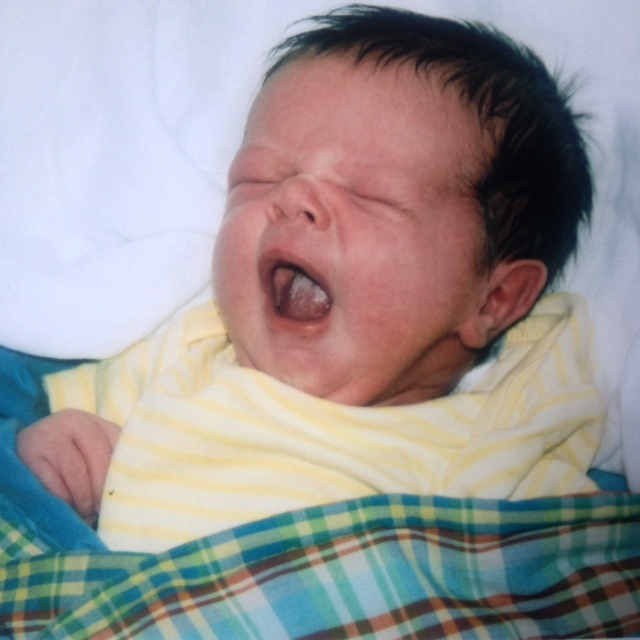 “He’s only twelve hours old”, I said. “Maybe he’s just getting used to being here”. Our second child was born exactly one month after we’d uprooted from London and replanted ourselves in Bristol. We had driven over one hundred miles, away from friends and family, towards a blazing summer solstice and an uncertain future. Almost four years earlier, our daughter shot into the birth pool as birdsong and neighbours’ voices drifted up from the dusky garden. The postcode lottery had gifted us with what the doctor called, “the Rolls Royce of midwifery care”; a wonderful woman who visited our home throughout the pregnancy. Such a service wasn’t available in our new city, so we booked an Independent Midwife—an anchor at a time when we were adrift, trying to navigate our way through a sea of unfamiliar streets. At times, his feet turned the colour of unscrubbed beets. I paid this no mind; his sister’s had worn a similar mottled hue as a newborn. I paid attention when his once greedy suckling ceased. When he was hungry for milk, but easily exhausted; asleep again, after a few tiny trickles. The midwife checked him over. Respirations? Rapid. “I need you to come home soon”, I said. “Buddy has to go to hospital”. He was 11 days old. I tried to ignore the blue tinge around his mouth. I tried to ignore what my nurse’s instinct was telling me. But my heart knew his was broken. We walked to the hospital, like a family on a jaunt, chatting, children in arms. Crammed into a narrow cubicle, the nurse attached a probe to his toe. She looked at the monitor, rechecked, looked again, then left. “We’re just going to move you into resus; there’s more room there”. Her words didn’t fool me. Resus was swarming with white coats, machines and urgency. Our small son, surrounded. His heart was structurally sound, but, at 260bpm, wobbling like a jelly. Thankfully treatment was simple. He pinked up as soon as the IV medication was given, suckled as if starved. As he lay in the cot, tangled wires crossing his body, I was grateful. For a hospital close enough to visit. For a friend, who breezed in bearing a bag of goodies. For listening to mother’s instinct. It literally saved his life. In August 2007, I was working in Montserrat, a volcano ravaged island in the Caribbean. It was a lovely sunny day when thoughts of my daughter crossed my mind. She had just had a baby boy over five thousand miles away in the UK. I felt an urgent need to contact her and tried several times to no avail. All of a sudden there was an overwhelming smell of cigarette smoke in my apartment. This was very strange as no one in the vicinity smoked. I had given up just after my father, Lloyd, passed away the previous year—he was a chain smoker who died from heart failure. Without question, I instinctively reached for my rosary and prayed fervently. On completion, I said, “Lord, I am so sorry. I have three grandchildren. I don’t know why I am just praying for the baby”. A week or so later, I learnt that, at just a few days old, Buddy was rushed into Bristol Children’s hospital with a heart condition. Family ties are much stronger than we imagine, spanning generations, crossing continents. Sometimes they are beyond our comprehension. And sometimes the instinctive thoughts and unquestioning actions of a mother from afar can help to save a life. The first part of this story was originally published by Mamalode. The second part is written by Kay Zetha Jardine (my mother and Baby Blue’s Grandma).